now comes with Jio Prime Friday. The basic task of Jio Prime Friday is to offer discount coupons, codes and deals from a plethora of sites like Paytm, ShopClues, McDonald’s, MakeMyTrip and OYO. 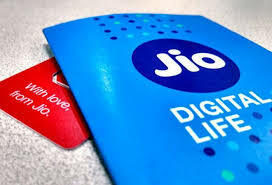 However, users should note that Reliance Jio is not directly involved in the selling of these deals or coupons and is only sourcing these deals from the original websites much similar to the other coupon or discount sites. On observing this new section in the MyJio application, we found that one of the attractive deals is the Rs 1,000 cash back on flight tickets on PayTm app. But while using this cashback, users should note that it is only applicable for once per user and also the minimum ticket price for availing this cash back must be Rs 3,000. On booking a flight upwards of Rs 3,000 on the PayTm app, users will get a cashback of Rs 1,000 if they are KYC-verified. Further, it should be noted that this cashback offer is valid until March 31. Another similar deal in the MyJio Prime Fridays is the cashback on ShopClues which will avail Rs 100 discount to the purchaser on a minimum purchase of Rs 499 on ShopClues. Like the cashback offer mentioned above, this offer will also be credited to the user’s Paytm account and will be valid only once per user. The good thing is, however, that this cashback offer will be valid across all product categories on ShopClues meaning that users won’t be limited to a small product range. There is also another cashback offer on ShopClues which is bundled with up to Rs 75 discount on a minimum purchase amount of Rs 199 but is only valid on prepaid purchases. This cashback will be redeemable by the users on the site and the app as well. Similar to the above two examples, OYO is also offering a deal on Reliance Jio Prime Fridays. By using the promo code, ‘OYOWIZARDJIOPRIME’ users will get up to Rs 75 on OYO Wizard membership. The OYO wizard membership avails the user with early bird discounts and an additional 50% discount. Users who want to avail the benefits must use the promo code while signing up for the OYO Wizard membership. It is also worth noting that these are just a few of the total deals that are listed under the MyJio Prime Fridays category inside the application. When users explore the section, they will find many more such discount coupons, offers and cashback schemes which they can use for their benefit.